Everyone seems to want a piece of the cloud storage-action these days, making it a challenge to stand out. Apple iCloud and Google Drive are two of the better-known file sharing services in use today, but New York’s TriPlay says its technology offers access and flexibility its rivals have yet to match. With a recent infusion of funding, TriPlay wants to bring its media and message sharing platform to more users around the world. Seven-year-old TriPlay offers cloud services that can be accessed anywhere around the globe, letting users automatically update their music, photo, and video collections across almost any mobile phone, tablet, computer, and television. Tamir Koch, CEO of TriPlay, says his platform has an edge on iCloud, which only works with Apple products, as well as rival file sharing services that are not available outside of the U.S. “The idea was to build a platform to transfer content from any device to any other device in the world,” Koch says. Handling content in three categories—photos and videos, music, and messaging—TriPlay’s service lets users send and receive media through the Web. Koch says his company initially developed its dashboard for business users to see messages and contacts, photos, videos, and music across all devices. He says the content is optimized to fit the screens and capabilities of each device, whether it is a TV or simple feature phone. In addition to developing the business-oriented platform in 2008 long before iCloud hit the market in 2011, Koch says TriPlay’s device agnostic approach makes his service accessible to a broader audience. “We’re just a little bit ahead of the market,” he says. TriPlay is now focusing more on consumers. The company’s SendSMS online software lets users send SMS messages from computers to any mobile phone. Its MyMusicCloud platform, released last September, automatically synchronizes the content in each user’s digital music libraries across the devices he or she owns. Users can store up to 2GB of music for free, with an additional 5GB storage costing $10 annually. MyMusicCloud has some 11 million songs available for purchase and also lets users access music from their Dropbox cloud file service. In January, TriPlay released its MyDigipack photo and video platform for viewing and editing visual content. Koch says he separated the service into three platforms because each type of media required different handling. Music, for example, is premium content that is copyright protected, whereas photos and videos are largely user-generated and can be shared readily with friends. 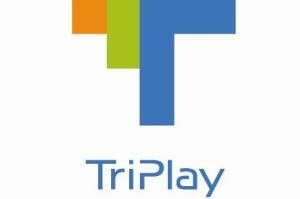 To further its growth, TriPlay in late August raised $5 million in a Series C round with individual investor Kenges Rakishev. Thus far TriPlay has raised $15 million in total funding. Koch says the new money will go towards marketing, new business partnerships, and expansion into Asia and Europe. Founded in Israel in 2005, TriPlay moved its headquarters to New York in 2009. Koch says he brought over the core technology team from Israel and hired local talent. The move, he says, was driven by a desire to be in close physical proximity to the U.S. market. “If you gain traction here, you can drive interest around the rest of the world,” he says. The company maintains operations in Israel. Koch is already a veteran of the startup scene. In 1995, he co-founded Orca Interactive in Israel, a provider of an IPTV content management platform. Orca was sold in 2000 to Emblaze Systems and then sold again in 2008 to France Telecom. Koch went on to co-found Dotomi in 2000, an Israeli advertising technology company. In 2004 he left Dotomi, which was acquired in 2011 by ValueClick. Though mobile devices and computers are already commonly used for file sharing, Koch sees the television segment as a new frontier TriPlay can exploit. The company’s MyMusicCloud app became available in August through Toshiba’s AppPlace for tablets and computers, and Koch is in talks to bring the app to televisions in the future. “If you want to have access to your premium content, your videos on your home theater, we’ll have a very simple app on your TV,” he says.